Can you become heart healthy for 5 days? Choose one or more of these 5 Day Challenges to improve your heart health. Try to convince family or friends to join you. It's only 5 days! Was it difficult to complete? What was the most challenging part? Do you think you will continue? 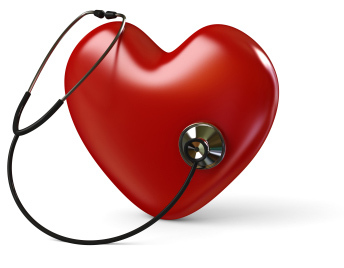 Why is it necessary for heart health? You can take any of the mini pledges from the 100 Days of Real Food blog. I did the first challenge of no fast food or anything fried for five days, and I could really tell a difference with the way I felt not having those types of foods. It wasn't too difficult for me to complete because I already don't eat very much fried food, and I rarely eat fast food, so I didn't have to change much of my diet. I will try to continue this, but there will most likely be times when I do eat fast food, simply because it is easy to grab when I'm in a hurry. It is necessary to be heart healthy because if your heart is in good shape, it just makes everything easier. It makes you feel better, and lowers the risk of heart disease and heart failure. I really enjoyed doing this challenge, and I plan on participating in more of these challenges provided. I did the first challenge, no fast food or anything fried for five days. This challenge wasn’t as difficult as I anticipated for it would be. For the most part, I really don’t eat fried food because I don’t like all the grease and I know it’s unhealthy. The most challenging part was probably no fast food, I don’t eat fast food all that much either but when I do it’s because it’s convenient and quick. Throughout the five days, whenever it would have been more convenient to just go get fast food for dinner, I found myself cooking something at home. I probably won't stop eating fast food altogether but I will limit it to once a week if that. On the matter of fried food, I will continue to eat little to no fried food. Heart health has many benefits like helping keep you fit and giving you more energy. It’s important and necessary for heart health because it can considerably decrease your risk of dying from heart disease, stroke, and cancer. We all want to live to see our kids grow up and by doing your part now and eating right and keeping your heart healthy and strong, you can make that possible. I did the first challenge and didnt eat any fast food or fried food for five days. This challenge was fairly easy but hard at times. The thing that makes it hard is when I have a busy day and I am in a rush and just need to get something quick. Most of the time my mom cooks at home, but probably once or twice a week we eat out and sometimes it can be hard to stay away from the unhealthy things. I think I will continue to try and cut out as much fast food and fried food that I can in order to maintain a healthy lifestyle. Heart health is a necessity to life. Your heart pumps blood throughout your body, and without blood in your body, your body cant function. Many people die of heart disease and strokes every year, and a lot of those deaths can be prevented if people learn to keep their heart healthy. I did the first challenge of no fast food or anything fried for 5 days. This was a little tough to complete because fast food is actually a big part of my life even though I know it shouldn't be. I could see a difference in the way i was acting at school i was awake in class and I had more energy though out the day. The most challenging part for me was driving past McDonalds everyday and not stopping to get their 10 piece chicken nugget for a snack after school or before softball practice. I wish i had the will power to continue this but I will most likely challenge myself to go at least a week or two without fast food every month. Heart Heath is very important. I feel that all the deaths so far could have been prevented very easily. Our heart is a major organ in our body and if we put to much pressure on it, it will not be able to function right and supply blood to the rest of the body. I decided to complete the first challenge which consisted of a diet containing no fried foods or fast food. Going in to the challenge, I thought this would be so easy, but after day 3, I was definitely wrong. I never realized how busy I am and how often I pull through a drive thru to grab a quick snack. This task was so challenging because fast food is just so convenient since I am always on the go. This was very eye opening for me, but honestly, I don’t know if I can continue to stay away from all fried and fast foods. I will try to limit the amount of bad food I consume, but I don’t think I can totally eliminate these foods from my diet. It is necessary to limit the amount of fast food and fried food because it is better for your heart and will eventually make you healthier in the long run. These foods can cause serious heart troubles as you get older. I decided to do the first challenge which was that I couldn't eat fast foods or anything fried for 5 days. I thought it wouldn't be that difficult because I barely eat fast food except for the weekends, so that was pretty easy. The harder part for me is not eating any fried foods. I think I did a pretty good job on that part, because my diet mostly consists of baked foods. The only food that I eat fried is french fries, but I bake them in the oven.. so I don't know is considered as fried food. But the hardest part was probably remembering that I couldn't just go out and get something to eat, everything I ate had to be prepared at home. My family and I don't eat out that much, and if we do its something like Chinese, Subway, or Chick-fil-A (which I don't think is THAT bad). I don't think I will continue because McDonalds fries are too good, but I will definitely monitor what I eat more often. It's necessary for heart health because greasy fast foods are not good for your heart AT ALL. It can cause heart problems in the long run. However, its okay to eat it in moderation as long as its not an everyday thing. Over the past week I embarked on a journey that changed my heart, literally. I decided to cut out Fried and fast food from my diet. I must say that it helped me in several ways. First I saved money and ate healthier foods. Secondly, I felt much better about myself, I had more energy and was far more alert. Lastly my skin started to clear up, I dont know if it was directly caused by the food but hey ill take it. I am going to try and continue to eat healthier foods because it truly does make a difference. I would suggest this challenge to anyone and everyone who want to be healthier and save money day to day. I decided to participate in all three challenges for a total of three weeks. Challenge one, personally, was the easiest of the three challenges. I do not regularly eat out at restaurants, especially fast foods. As for abstaining from fried foods, I simply replaced anything fried that I usually make and baked it. Challenge Two, was slightly more difficult. I typically like to eat white bread, mainly because I feel it tastes better in my opinion. However, I found that switching to whole wheat was not as bad as I had previously imagined. Though the taste was different, it whole wheat bread did not taste bad at all and I found myself fond of it. Challenge Three, on the other hand was much more difficult. The reason for this is that my house is full of processed foods! In addition, I have been raised on eating it, making it much more challenging to avoid eating it. So the strategy I used to counter this was buying more healthy and convenient snacks such as grapes, cuties (small tangerines), bananas, pears, and apples to replace my usual entourage of Pop Tarts, Rice Krispies Treats, Goldfish, and Oreos. I discovered that by having healthier, convenient foods in lieu of my go-to snacks, it makes it that much easier to avert from eating processed foods. I really did enjoy this Challenge! I thought it was a great way to test one's resolve to become healthy. I definitely will make a more conscious effort now to remain heart healthy as well as refer others to do the same, too. I decided to do the first challenge and give up fast food and fried foods for 5 days. I never realized how often I eat fast foods until I did this challenge and it really opened my eyes and helped me realize I need to eat healthier. Also after this challenge i realized I eat WAY too much fried food so I really have learned a lot from this challenge! I hope to cut down on fried foods and try not to eat fast food as often. I choose to do the first challenge which was not eating any fried food or fast food for 5 days. Before doing this challenge, I thought it was going to be hard for me accomplish, but it turned out good for me. I thought that I ate a lot of fried food, but it turns out I barely eat any. I rarely eat fast food, but the restaurant I would eat at, are mainly McDonald's and In N’ Out Burger. My mom cooks dinner almost every day, and I thought she usually fried most, but when I paid more attention to what I was eating she would either steam it or bake it not fry it. One thing difficult about this challenge was that I had to watch what I was getting because usually I would see a food I like and eat it not really caring how it was cooked. I hope to continue to clear steer of fried food and not eat as much. Eating too much fried food would be really unhealthy for my body and it would cause me to have high cholesterol. Having high cholesterol, can be unhealthy for my heart and can cause me to have a heart attack. I did challenge #3: no processed food. At the beginning, it was difficult since that’s pretty much all I eat and I had to search for alternatives. I even found myself rethinking about everything I ate. For example, when I took up cranberry juice in place of any soda, I found that I was mislead about the juice being 100% juice and it seemed to be just as processed as any sugary drink. I had trouble finding things I could eat and I had to further some research into what to eat using a Google search. Within the first two days, I thought about the processed food and it was difficult trying to eat the healthy alternatives in its place. But after the fourth day, I could feel the effect of choosing health choices: I slept better, communicated better, and focused more in school. The most challenging part were watching TV commercials that advertised particular processed food or going to store and not being able to get your favorite bag of chips. I think I will honestly continue. When I’m traveling, I feel the need to eat the processed snacks but I think it’s something I can keep up if I strive for it. I think I’m going to try the first challenge: stop eating fast food and fried food entirely. I think from this challenge, I will eat processed food sparely. I chose to complete the first 5 day challenge, and cut out all fried foods and ate no fast food. I found that this challenge was much easier than I expected. I gave up fast food for lent a couple years ago, therefore, I hardly ever eat it anyways. When I stopped eating fast food/fried food, I felt much better,and my skin cleared up. This is good for your heart because fried foods and fast foods tend to have a very high fat percentage and that can effect your heart in a very negative way. Over all, I learned a lot about how fried foods can effect your body, and I don't plan on having fast food on a regular basis. I participated in the first challenge of not eating fast food or anything fried. I usually will grab a bagel on the way to school from Einstein’s because I usually have to go in early and I am usually running late and cannot fix something at home. I started waking up earlier and have gotten a lot better and drying and straightening my hair more quickly because of this challenge-what a great unintended benefit! I was actually able to complete this challenge for two weeks. Not going to lie, I thought this was so easy- until I found out I may have been cheating. If a Chipotle salad bowl with lettuce, brown rice, black beans, and chicken counts as fast food, then I failed this challenge 6 times and I don’t think I will ever able to give up fast food. Other than my Chipotle fix, leaving out fast food actually made me feel better and craze healthier foods! If I keep avoiding unhealthy fast food, my heart’s health will remain in tact and I will possibly avoid future health problems such as fatigue or blockage. Well, I tried the fast food/fried food challenge and failed miserably... And when I say failed miserably, I mean went to McDonalds, ordered 2 double cheeseburgers and an order of large frys. The only positive thing in that entire meal is that I decided to drink water instead of a coke. Although I didn't accomplish the challenge the first time, then that does not mean that I'm not going to try it again, and trust me I will not give into temptation! That is the hardest thing about this challenge, temptation, you have to develop a mentality of saying no. I participated in all three of the five day challenges. The first challenge was very easy for me to do because I already do not eat fast food or fried food. Other than my occasional whataburger breakfast I do not eat food from those restaurants. The second challenge was a little bit harder than the first however, I am lucky enough to have a mom that already buys whole wheat products. I completed the first two challenges with ease, but on the other hand the third challenge gave me much trouble. Now a days pretty much anything packaged would be considered "processed" food. Even though I did not complete the challenge successfully, I was still off better than I was. When I was hungry at home I found myself grabbing for the almonds and fruit rather than the processed granola bar. It is important to avoid processed foods because they are damaging to the heart due to the fat that is in them. These processed fats can lead to heart disease. I attempted the fast food and fried challenge. I had a difficult time doing this, because a lot of my diet consisted of fast food or fried food. The most challenging part of it was when I was hungry afterschool. I generally would go get some fast food, which also was fried. My temporary solution was for me to eat cookies, chips or not eating at all. That obviously was not really the goal here. I am going to try to continue, but instead of replacing bad food with bad food, possibly replace it with healthier foods. These ideas made me think about how to eat less of this bad food and replace it with more nutritious food. It is necessary for heart health because these fried foods generally kill most of the nutrition that would have been gained from eating the food in the first place. Losing these nutrients will make your body weaker, potentially add fat, and make your body work harder than it should. Especially your heart will be able to work more efficiently if it has energy, because it is always pumping! Good nutritious food will give your muscles the energy they need also it will not clog arteries which also will make your heart work harder than it needs to. I did the challenge that did not allow me to eat fried foods for 5 days. This challenge was a tough one for sure! When you are running late, it it just so easy to pull though a drive through and grab some french fries for a snack! Yes, I did crave what I knew I couldn't have, but also, if I was craving something salty, it I was forced to find something else besides fries! I discovered I love nature valley sweet and salty bars! They were a much healthier option compared to fries. I also love baked lays as opposed to normal potato chips! This challenge, in a way was very beneficial to me! Not only did I feel better, I was forced to find healthier alternatives to my salt cravings. I decided to cut out fast food for 5 days, and I was surprised by how easy it was. Usually, I go grab something from a fast food restaurant if I feel like I don't have time to make dinner or sit down to an actual meal. What I realized, though, was that, even if you are pressed for time, there are still other healthier options you could pick. There were definitely times where going through a drive through would have been easier, but I made it through the five days just fine. I don't think I'm going to completely cut fast food out of my life for good, but I've come to realization that going without isn't as difficult as I had always thought. I participated in challenge 1 & 2. Not eating white flour was easy because it is something I already don't do. I thought that not eating fast food would be really easy because I don't eat much of it anyways. It turned out to be more difficult than I thought because when I am in a rush it is always so much easier to grab something while im out. After going an entire week without the fast food, I feel so much more clean and healthy. My skin seemed to be more clear as well. Not to mention I saved a huge amount of money. This is something I am going to try to do more often. I completed challenge 1, of not eating any fast food or anything fried, i also added not having any soda. It did make me feel more energized and alert. But it was a little difficult for me since i am always at school until 7pm if not later, so it is way easier to swing by somewhere and pick something up. The most challenging part was driving past all of the restaurants we have in Coppell. I will continue to not drink soda, but i will most likely eat at a fast food restaurant once a week. I think it better for your heart if you don't eat at fast food restaurants because each meal contains so much fat that it clogs your arteries. I did the "real beverages" one. This was kind of hard because in the past I had given up soda and had not had one in over a year, and then I got to drinking it again. This challenge made me realize that I don't need any soda's or juices to drink. To spice up my water I would add lemon or lime to it so that I could have some flavor. The hardest part was having the soda cravings, and having to make myself not give into it and go get one from the fridge. I will continue this and only drinking water, tea, coffee, and milk. I will have an occasional glass of orange juice but other than that no soda especially! This is good for your health because soda and juice have a ton of nasty chemicals and sugar that you do not need as a part of your diet! I completed challenge 1, but considering that I rarely eat fast food, I did all small restaurants in Coppell. I ate only at home meals and did one day of eating vegan. I did feel a difference in not feeling sluggish, but the day I felt the best was the vegan Friday. The most challenging part was not wanting to try and get a quick sandwich since i work late sometimes and need to bring dinner. I will definitely continue to eat more at home, and even continue with vegan Fridays. Its necessary to stay away from fast food because it is more likely to contain higher levels of sodium and unhealthy fat. An excess in these can cause high cholesterol and high blood pressure. It can even do as much as clog your arteries. I gave up fast food for a week. This was really hard for me because I generally eat fast food on a daily basis. Fast food is just really convenient for me. Between my activities and work I have little time to be able to make my own meals so I eat fast food. I do not think I will be able to continue because of the inconvenience it takes to not eat fast food. I will however try to eat less fast food than before and will try to limit myself to two or three times a week. I realize that fast food is extremely bad for you with all the fat and grease that can end up clogging your arteries. Hopefully in the near future I will be able to give it up for good, but for right now limiting myself to a couple times a week will have to do. I chose to take on challenge one because I love fried foods, and I eat a lot of fast food. And believe me, it was hard. The fact that my family is very southern and cajun, majority of the food that my mom cooks is fried. While on the weekends, we eat fast food. So I mostly ate fruits and steamed vegetables. I stayed away from fried seafood and chicken. I ate mostly salads, and baked fish also. In all honesty, I will not be able to continue to cut out fried foods simply because that's what I love to eat the most, although I will cut back on the amount I eat. But I can cut out fast food from my diet. It is very necessary to eat healthy for your heart health so that you have no clogged arteries, or trouble breathing. I know food with a lot of fat can lead to too much fat around the heart which causes it to pump blood slower than normal, which then leads to high blood pressure. So its best not to put your heart at risk like that, and keep a healthy diet. I chose this challenge because I have been wanting to do something like this for a while. I do not usually eat too many fried or fast foods except for the occasional Subway or Which Which sandwich after a long day in the art studio after school. As I went on to try challenge two, I completely converted all my white breads to whole wheat, and started to eat much more of whole grain foods such as rice, cereal, and pasta. I find that foods that were whole grain and whole wheat to taste much better than the food I used to eat before, and I understand that they are much healthier as well. Then, since I had already tried out the first and second challenges, I decided to try the third. At lunch, I stopped eating the greasy pizzas and gross school meals and switched to the sandwiches and salads. I am eating Many more fruits and vegetables than I ate before, and realize that I should have made the switch a long time ago. I love eating an apple or banana every day. I am also eating more chicken and other meats that were not processed! In my family, eating fast food isn’t a tradition for us. To be honest, I do cheat every once in a while to get some fries, or even a shake. This challenge wasn’t really difficult to complete because I don’t eat out that often. We cook all of our meals at home and eat dinner as a family, it creates more bonding time for us and time to discuss the ups and downs or the day and how we could fix it for the next day. Majority of what we eat at home, is baked, boiled or dried. The only time we fry food is if we are having a traditional cultural get together with family and friends. It is something we will always do it’s healthy and it saves a lot of money. It is necessary for heart health because the majority of all fast food joints have so much oil inside the contents and so many calories. All that oil and cholesterol can clog up in your arteries and it could also narrow the walls of your artery causing you to have hardness/shortness of breathing or even a heart attack, or cardiac arrest. I chose to take on this challenge because the idea of not eating any processed food has always interested me. I think that it is a very healthy and smart way to eat because you eliminate all the toxins and unnatural fillers when you eat all natural foods. What I didn’t realize though, was how hard it was to completely give up the processed food that I ate everyday. Usually I wouldn’t give a second thought to eating a sandwich or a bag of chips but I had to really focus on what I was eating because a majority of it was processed in some way. At the end of the week I noticed that I had more energy than I did in the pervious week and also I found myself not craving sweets or other unhealthy food like I used to. I think I will definitely keep this up because I have realized how unhealthy processed food is for your body! I have gotten my parents on board for the most part. We have thrown out all the super processed food in our pantry and have replaced it with healthy alternatives. This diet is beneficial to heart function because by eating healthy food, you are less likely to be over weight, which means that there will be less fat surrounding your heart. This means that your heart will have an easier time beating and your chances of contracting a heart disease is less likely. I tried doing the challenge of not eating fast food for a week but for me it only lasted 3 days because at school with all the fast food all around me I got tempted. But for the first three days I packed my own lunch and throughout school I felt I had more energy. By avoiding junk food for the 3 days I felt I didn't waste my time as much by looking for food in the kitchen because I knew I would end up picking up some junk food. Also, I looked more towards smoothies and fruit which are never my first choice. From this challenge I've improved on not eating too much junk food but for me I don't think its possible to completely avoid it. The best way to avoid junk food at school is to pack your own lunch which helped me a lot personally. Also, try to find healthier alternatives to fulfill your junk food cravings. I decided to trying going without fast food this whole week and it worked up until last night during Yearbook late night. Sometimes, I do like to try and not eat fast food because it makes you feel less energized and weak if you are constantly eating. I have realized that not eating junk food or fast food makes you feel more awake, aware of your surrounding and overall gives you more energy to do things throughout the day without feeling tired. The most difficult part of the challenge was trying to eat healthy when you are really busy and you just need something fas to eat. I am always trying to eat healthy but I will admit that sometimes I have those days when it is just easier to grab something and go. It is always important to eat the right foods daily so that your heart can still work normal from a day to day basis. I did the first challenge where I couldn't eat any fast food or fried food. I did really well on the first three days because I had decided to become vegan, so anything from fast food places was immediately out of the question. Even though I was vegan, I still ate fish to get protein. After the first three days I notice that I felt a lot healthier and clean. I didn't feel bogged down from any junk food because it had all been cleared out of my system. I tried my best to keep it up for the fourth and fifth day but there were two meals where once I had fried fish and the other was chipotle (which I think to be a healthier fast food). All in all I really like this and am going to try my best to keep it up. I have noticed that working out is easier and I don't feel as tired at the end of the day. I chose to take the challenge of not eating fast food or anything fried for a week. I also limited myself to drinking only water and the occasional cup of hot tea. I thought this would be a good challenge for me so that I can start making a conscious effort of avoiding eating out and getting unhealthy foods and soda. Although when I eat out it’s not necessarily always fried, I do tend to eat out more often than I should. This was difficult for me because I am used to eating out fairly often. It was the most challenging on the weekend because that is the time that I usually don’t eat as healthy. It’s so easy just to go out and eat with friends or stop by somewhere out of convenience. Although it was challenging, I did feel better when I ate healthier and drank more water. I don’t think I will continue cutting out all fast foods and fried foods, but I do want to cut down to a small amount of fast food. This is necessary for heart health because when eating fatty fried foods is a habit, fat collects around the heart which can cause disease and clogged arteries which can later lead to a heart attack. For the heart to function properly and in a healthy way, it is important to maintain a healthy diet. I chose the first challenge (no fried or fast food). It wasn't as hard for me not to eat fried food than it was to eat fast food. I eat fast food when my mother doesn't cook and this week has been long for her so she hasn't. Therefor it was more of a challenged because I had to cook for my self, but in the bright side I learned how to make new types of food like I learned how to make gumbo by myself and It turned out pretty good. I might continue this, not everyday but more than often. Its healthier for your heart because fried and fast food raise your cholesterol level, which greatly effects your heart and this can lead to diabetes or even a heart attack. I have decided to participate in this challenge because this was to reboot my body. I didn't eat any processed from the freezers or anywhere, I didn't touch any junk food, I avoided soda pops and etc. The most challenging part was to go home! Believe it or not. I see chips, coke and other unhealthy food stacked in our kitchen and it is really hard to avoid it. I was so tempted to at least open one of them. However, I made a promise and decided to not break it. And thankfully I made it through those five days. I believe I can still do these challenge ans I plan on doing it for at least two weeks. It has helped lose some weight. All the food mentioned by the challenge have some kind of saturated or regular fat, which is the worst kind. Those unhealthy fats and other ingredients are in those products won't help your heart. In order for our heart to be in a healthy condition, we must eat healthy food daily. I participated in the first challenge, the not eating fast food or any fried food. This challenge was not as difficult as i though it was going to be, but it had it's more difficult times. My mom makes my lunch for me almost everyday and it never includes fast food or fried food so that part was easy, and my mom prepares dinner at least 3-4 times a week. But the times when she doesn't I was always tempted to go out and get some fast food. The most difficult part was when I was with my friends and I saw them eating fast food or fried food right in front of me. It was so hard to hold myself back from eating some of it. I think I will continue to cut back on fried foods and fast food, and maybe just eat them once a week. It is necessary for your heart health because fried food and fast food clog your arteries which can result in a heart attack. i did the first challenge or no fried and fast food, not eating any fast food wasn't hard for me due to the fact that i stopped working and am trying to save money, although the temptations of not wanting to make more time for cooking was hard. Not eating any fried food was the toughest thing for me because i tend to eat a lot of fried fish. instead of frying i backed all my food. i found myself feeling more energetic and wanting to do more. i will not be continuing this because i miss my food. however i will be eating less fried and fast food for health reasons. I did the first challenge for the 5 days, I didn't eat any fried foods. It wasn't hard to stay away from fried foods. My parents never fry food at home and all I had to do was stay away from fast food restaurants where fried foods run rampant across the entire menu. And even when I do go out to eat I avoid unhealthy/fried foods and order something else on the menu. I physically felt better whenever I went to go work out. Workouts where not a difficult and I felt much better. During the day I felt better, more energy, not sluggish. Since I started this challenge 3 weeks ago I have stayed away from fried foods altogether. It was different not eating fast food for so long, it took awhile longer to prepare my meals and it didnt seem to taste as good. Though ive noticed myself being more erratic and active during the day, i will consider continuing this diet because it seems to be working so far! The first challenge was very simple for me, considering I've already cut fried food from my diet. Taking the challenge gave me further reason to pursue my goal. The second part of the challenge was a bit harder considering I love white bread over wheat when eating a sandwich, but in the end I managed to prevail.....until reaching the third challenge. I completely failed the third part of the challenge due to how badly I wanted to eat while my parents were away. I continue to cut cokes and fried foods from my diet and can't wait for the future results. I tried the first challenge. I went 5 days without fast food. This wasn't too difficult because I usually go that amount of time without fast food anyway. So, I didn't notice any positives of this challenge. I am not sure what the challenge was. If we also couldn't eat anything fried, then I somewhat succedded. I ate some chips. But I didn't eat anything that was recently fried. Fried food is actually really good. Fried food is not as bad as somethings. I tried the first challenge considering I eat fast food every now and then, maybe once or twice a week max. The challenge wasn't very hard, but I know compared to some people that may become addicted to fast food that this challenge could become very difficult compared to how much you enjoy fast food. I will continue to eat less fast food and such because I know it's bad for you, and if I eat less of this type of food it will obviously benefit my heart as I don't need that extra pressure on my heart pressure and heart. I did the first challenge, and it was probably the hardest thing i've ever had to do. I saw the changes immediately by taking out the fast food from my diet. Replacing it with fruit salads and more grains and homemade meals i saw how better foods affect you. I will try this challenge again because its helping me lose weight. The most challenging part was going out with friends and not being able to touch anything, not even one french fry. To gain or keep a healthy hear i found out that you need to eat right most of all, you need to exercise to get your heart strong, and manage your stress levels. Instead of not eating fried foods for five days, I actually did it for nearly three weeks because I liked the five days so much. Of course, it was a bit difficult, but it was pretty bearable. After a week, I never really thought about it. The most challenging aspect of the challenge was dealing with cravings like Chik-fil-a, Wendy's, and a couple of other fast food restaurants. I'm definitely going to continue because I didn't feel so slow and bogged down, and I felt a little healthier all the way around. Avoiding fried foods is essential for heart health because there's a higher level of sodium in fried foods which leads to high blood pressure, and a number of other things. I think it was decently difficult to complete because I do like some fast food, and not having the option of eating it was kind of unfortunate. The most challenging part was easily having to cook for myself when I would normally just go out and get something to eat. Honestly I probably won't continue. It's necessary for heart health because fast food contains ridiculous amounts of fat and and sodium and other just nasty things that mess up your body. This was very difficult for me to complete this task because I usually have fast food most nights of my week. The fact that I am an athletic trainer, I don't have that much time after i assist injuries during a game. Fast food was just an easy way to get food on the late nights. Although this was a tough challenge, I want to continue doing this for the sake of my health. This is also necessary because fast food has a lot of fat and carbs, which results in obesity and a weaker heart. For this challenge I did not eat fast food or anything fried for five days. I did not find it particularly challenging because I don't eat fried foods very often, but when I do I notice a huge difference in my mood and energy level. When I eat fast food/fried food I oftentimes have much less energy and am in a worse mood. If I try to work out and just ate fast food, my stomach almost always hurts. In comparison, when I eat healthier I have much more energy and am in a much better mood. The most challenging part is not eating fast/fried food on the weekend because that is when my family usually eats out. I will definitely continue only eating fast/fried foods in moderation because I don't feel good when I eat them. It is necessary to eat healthy foods for heart health because too much fat/calories in a diet will clog your arteries and cause a heart attack. Nobody wants a heart attack!